In this movie, the younger children in a Catholic school prepare for a Christmas play. 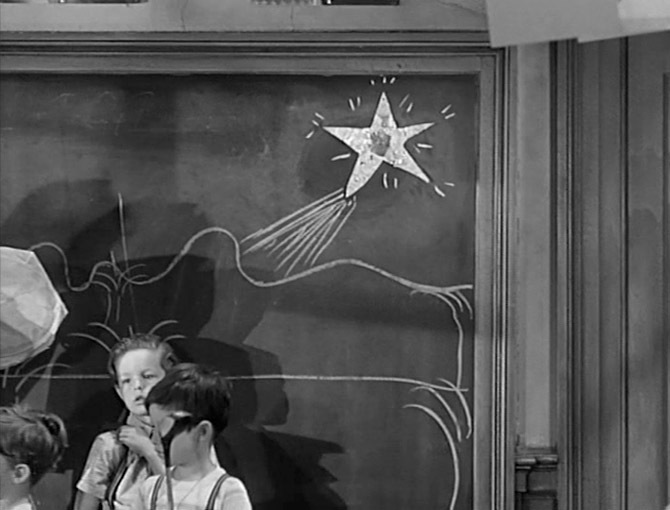 On the classroom chalkboard can be seen a five-pointed Star of Bethlehem. The film was overseen by a Catholic priest who served as an advisor during the shooting. 2. The Mathematical Gazette, London : Mathematical Association, Vol. 78, No. 483 (Nov., 1994), p. 319. ISSN: 00255572. Citing an undated Daily Telegraph.